Bernard Lewis was a former British intelligence officer and historian who is infamous for explaining Arab discontent towards the West as not being rooted in a reaction toward imperialism, but rather that it is rooted in Islam; in that Islam is incompatible with the West, and that they are destined to clash, using the term, "Clash of Civilizations." For decades, "Lewis played a critical role as professor, mentor, and guru to two generations of Orientalists, academics, U.S. and British intelligence specialists, think tank denizens, and assorted neoconservatives." In the 1980s, Lewis "was hobnobbing with top Department of Defense officials." 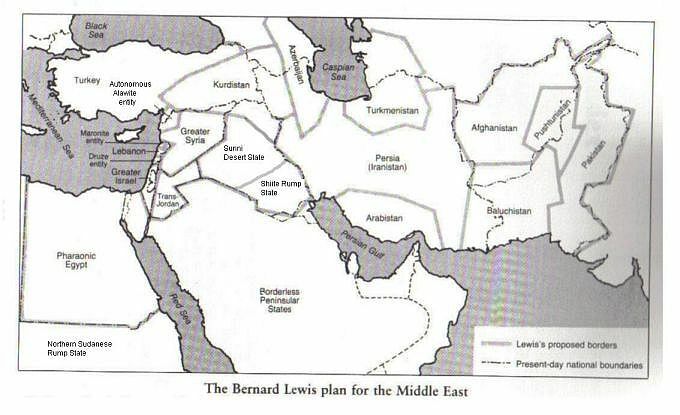 Lewis wrote a 1992 article in Foreign Affairs, the journal of the Council on Foreign Relations, titled, "Rethinking the Middle East." In this article, Lewis raised the prospect of another policy towards the Middle East in the wake of the end of the Cold War and beginnings of the New World Order, "which could even be precipitated by fundamentalism, is what has of late become fashionable to call 'Lebanonization.' Most of the states of the Middle East - Egypt is an obvious exception - are of recent and artificial construction and are vulnerable to such a proc ess. If the central power is sufficiently weakened, there is no real civil society to hold the polity together, no real sense of common national identity or overriding allegiance to the nation-state. The state then disintegrates - as happened in Lebanon - into a chaos of squabbling, feuding, fighting sects, tribes, regions and parties." It was in this context that in 1979, as Zbigniew Brzezinski later admitted, “According to the official version of history, CIA aid to the Mujahadeen began during 1980, that is to say, after the Soviet army invaded Afghanistan, 24 Dec 1979. But the reality, secretly guarded until now, is completely otherwise Indeed, it was July 3, 1979 that President Carter signed the first directive for secret aid to the opponents of the pro-Soviet regime in Kabul. And that very day, I wrote a note to the president in which I explained to him that in my opinion this aid was going to induce a Soviet military intervention.” He claimed that, “We didn't push the Russians to intervene, but we knowingly increased the probability that they would.” What a perfect example of what George Orwell would call “double-speak,” saying that the Americans “didn’t push the Russians to intervene” but rather, “increased the probability that they would.” In other words, they “pushed” them to intervene. Andrew G. Marshall is a frequent contributor to Global Research. 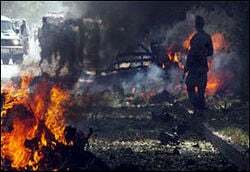 Recent terror attacks in New Delhi on September 13, 2008, raise the questions of who was responsible and for what reason these attacks occurred. Terror attacks in India are not a new phenomenon, however, in their recent past, they can be largely attributed to the actions, finances, training and resources of one organization: The Pakistani Inter-Services Intelligence (ISI). These new bombings bare the same relationship with the ISI as has occurred in the past, and so it must be asked: what is the purpose of the ISI both in Central Asia as well as South Asia? The ISI appears to play the role of a force for the destabilization of Central Asia, India and the Middle East. It acts as a Central Asian base of operations for the CIA and British Intelligence to carry out Anglo-American imperial aims. India will be the main focus of this report, due to the escalation of organized terror and violence against it in the past few years. As India is one of the fastest-growing economies in the world, after China, its northern neighbor which also borders Central Asian countries, its place in the New World Order is yet to be set in stone. Do western, and particularly Anglo-American elites allow India to grow as China, all the while attempting to co-opt their banking system to the western banking elite, thus, making them controllable? Or, will India be destabilized and dismantled, as is the plan with the Middle East and Central Asia, in order to redraw borders to suit geopolitical imperial ambitions, creating a network of manageable territories feeding the Metropoles of the New World Order, specifically New York (Wall Street) and London (The City of London)? On September 13, 2008, five blasts ripped through New Delhi within 45 minutes of each other, killing 21 people and injuring roughly 100 more. The Indian Mujahedin claimed responsibility for the bombings, sending emails to major Indian news organizations. In July, bombings took place in the western state of Gujarat, which killed 45 people, and in May in the city of Jaipur, which killed 61 people. The Indian Mujahedin also claimed responsibility for those attacks. This new wave of attacks across Indian cities was intended to "sow panic, inflict civilian casualties and, according to Indian officials, inflame tensions between Hindus and Muslims." National elections are also approaching in India, giving the opposition Bharatiya Janata Party the opportunity to criticize "the coalition government led by the Congress Party for its inability to prevent bombings like those of Saturday," making it a "major point of vulnerability for the incumbent administration." What is the Indian Mujahedin? According to Indian police, the Indian Mujahedin (IM) is "an offshoot of the banned Students' Islamic Movement of India (SIMI)." In fact, it is "the hardline faction of Students Islamic Movement of India (SIMI) that broke away in 2005 to protest against the diffidence of the moderate faction about declaring a full-scale war on India." Reports also link the IM with the banned organizations, Harkat-ul-Jihad-e-Islami and Harkat-ul-Mujahedeen. The Students Islamic Movement of India (SIMI) has reported ties with the Pakistani ISI, in having had cadres of its members being trained by the ISI to launch terror attacks in India. The ISI is also reported to have maintained contacts with SIMI in relation to their operatives traveling around the Middle East, specifically Saudi Arabia, to engage in fund raising. SIMI’s reorganization was also aided by the ISI, which led to the branching out of the hardline element, the Indian Mujahedin. Harkat-ul-Jihad-e-Islami also has extensive ties with the ISI, as the group carried out terror attacks in Hyderabad in 2007, "at the instance of Pakistan's Inter Services Intelligence." Many members of the Harkat-ul-Jihad-e-Islami were trained at ISI camps in Pakistan, and it "receives patronage and support from Pakistan’s Inter-Services Intelligence." Significantly, "the group’s anti-India operations are planned by the ISI, mostly from the Bangladeshi capital Dhaka." Harkat-ul-Mujahedeen, the third terror network with extensive ties to the Indian Mujahedin, used to be known as the Harkat ul-Ansar. Harkat ul-Ansar was created by then-Pakistani General and future President Musharraf in the early 1990s, and was active in recruiting 200 Pakistanis to be trained by the ISI and sent to fight a jihad in Bosnia, "with the full knowledge and complicity of the British and American intelligence agencies." This group also has links to those individuals associated with financing 9/11, as well as being involved with the London 7/7/ bombings. So all three terrorist groups associated with creating and having links with the Indian Mujahedin (IM) have extensive ties with the Pakistani ISI. Since these three organizations created the IM, it is essentially a creation of the ISI itself. Two days before the bombings took place, the Times of India ran a story discussing US defense corporations seeking major contracts in India, including "the single largest one-time military contract in history," India’s buying 126 multi-role combat aircraft (MRCA). The deal is said to be worth $10 billion, "which would not be concluded in the term of this government but by the next government." Two major US companies vying for this contract are defense giants Boeing and Lockheed Martin. India’s Defense Minister A.K. Antony said that his recent meetings with US Defense Secretary Robert Gates and other Washington figures were primarily focused on "Pakistan’s rapid descent into chaos and the stepped up terrorist activity by renegade elements in the country, including provocations on the border and in Kashmir." Two days later, the attacks within India would confirm the need for a built up defense and military establishment within India. Contracts are sure to be signed. The bombings also occurred at a time that "India is resisting renewed pressure from the West to send its troops into Afghanistan to boost the coalition troops there." More troops are needed in Afghanistan as the Taliban experience a resurgence, armed and financed by Pakistan’s ISI. However, as the Times of India notes, "India is not about to enter this particular cauldron because its troops would fan the flames in a way that no others would do. They would draw fire from Pakistanis and India would be sucked into a battle, which would have huge implications for its internal security." Perhaps this is the idea? The attacks also occurred just as "the US Congress is considering the approval of the US-India civil nuclear deal and days before [Indian] Prime Minister Manmohan Singh visits Washington." The ISI has long established ties with terrorist networks in the region. The ISI was used as a conduit by the CIA in 1979 to finance and arm the Afghan Mujahideen in Afghanistan in the Afghan-Soviet War of 1979 to 1989. The Mujahideen then branched off, with the active financing and support of the ISI, into both Al-Qaeda and the Taliban. During the 1980s, many "officers from the ISI's Covert Action Division received training in the US and many covert action experts of the CIA were attached to the ISI to guide it in its operations against the Soviet troops by using the Afghan Mujahideen, Islamic fundamentalists of Pakistan and Arab volunteers." Further, the "CIA, through the ISI, promoted the smuggling of heroin into Afghanistan in order to make the Soviet troops heroin addicts. Once the Soviet troops were withdrawn in 1988, these heroin smugglers started smuggling the drugs to the West, with the complicity of the ISI." The ISI not only has had close ties to Al-Qaeda, but also to guerillas fighting in the disputed territory of Kashmir between India and Pakistan. The ISI’s connections with Al-Qaeda were so extensive, that even on the night before 9/11, Osama bin Laden was in a hospital in Pakistan protected by Pakistani military and intelligence. The ISI also supported the wars in Bosnia, Kosovo and Macedonia throughout the 1990s, by training and sending militant Islamists into the regions to sow chaos and exacerbate ethnic tensions, leading to the break-up of Yugoslavia. All this was done with the tacit approval, support and complicity of British and American intelligence. The ISI financed its covert terrorist support through the global drug trade, especially important in Afghanistan. The ISI also supported terrorist groups in Chechnya. The Lashkar e Toiba (LeT) terrorist organization also works very closely with the ISI, and they work together in a "coordinated effort" in orchestrating terror attacks in Kashmir. The LeT is "funded, armed and trained by the Inter-Services Intelligence," and is linked up with Al-Qaeda, and is "the most visible manifestation" of Al-Qaeda in India. The LeT "receives considerable financial, material and other forms of assistance from the Pakistan government, routed primarily through the ISI. 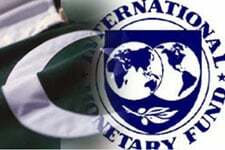 The ISI is the main source of LeT's funding. Saudi Arabia also provides funds." The LeT also played a part in the ISI organized "Bosnian campaign against the Serbs," which was directed above the ISI by the CIA and British intelligence. The ISI may also have played a roll in 9/11 itself, as its General was in Washington in the lead up to and during the 9/11 attacks, meeting with top intelligence, State Department and Congressional officials, including CIA Director George Tenet, Deputy Secretary of State Richard Armitage, Secretary of State Colin Powell, Senator Bob Graham, Representative Porter Goss, who would go on to become CIA director, and Joseph Biden, who is now Barack Obama’s running mate. The ISI’s General, while meeting with all these top US officials in foreign affairs and intelligence, also happened to be the money man behind 9/11, having wired $100,000 to the lead 9/11 hijacker, Mohammed Atta. 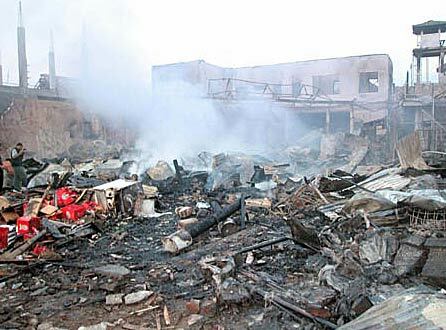 In August 2006 in the UK, there was a massive roundup of terrorism suspects as the British and Pakistani authorities revealed that they uncovered and prevented a massive terrorist plot to blow up several transatlantic airliners with liquid explosives. This plot is the reason for which people can no longer carry a bottle of water or any liquids through security at airports. However, following the roundups, Pakistan arrested the "lead suspect" who was said to have masterminded the whole operation, Rashid Rauf. Over a year later, Rashid Rauf escaped from Pakistani police custody, however, as it turned out, he was kidnapped by the ISI to prevent him being extradited to the UK. As Craig Murray, former British Ambassador to Uzbekistan, wrote shortly after the plot was ‘foiled’, "According to John Loftus, a former Justice Department prosecutor, [bomb plot suspects] Omar Bakri and Abu Hamza, as well as the suspected mastermind of the London bombings Haroon Aswat, were all recruited by MI6 in the mid-1990s to draft up British Muslims to fight in Kosovo. American and French security sources corroborate the revelation." It was revealed by the London Telegraph in 2007 that the US, through the CIA, was funding and arming terrorist organizations to "sow chaos" inside Iran. ABC News reported just over a month later that the terrorist group was a Pakistani militant group named Jundullah, which is based in the Baluchistan region of Pakistan, just across the border from Iran. Jundullah also has very close ties with Al-Qaeda. Although the US funds this Al-Qaeda-linked group, the funding is indirect, as it travels through Pakistan’s ISI. So clearly, the ISI has some troubling connections to Al-Qaeda, various other Islamic extremist groups, and British and American intelligence. Where the ISI is operational, so too, are Anglo-American ambitions. 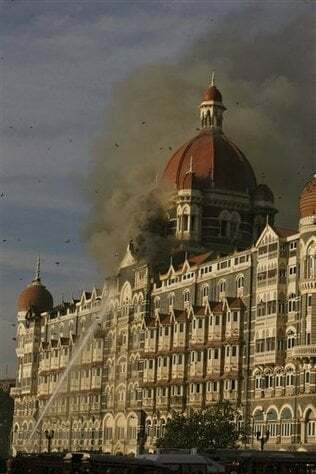 On March 12, 1993, Bombay (now called Mumbai) experienced 13 explosions in a coordinated attack, of which the most significant target was the Bombay Stock Exchange, which killed roughly 50 people. The total number of dead was 257, with roughly 1,400 other injured. Dawood Ibrahim was believed to have coordinated the attacks. Ibrahim is known for extensive ties to Osama bin Laden and Al-Qaeda, has financed operations of the Lashkar e Toiba (LeT), and was believed to be hiding out in Pakistan. The 1993 Bombay bombings were "organised by Dawood Ibrahim under pressure from the Inter-Services Intelligence of Pakistan." In 2007, the ISI was reported to have taken Ibrahim and his top lieutenant into custody from the Pakistan-Afghan border. On July 11, 2006, Mumbai experienced another major terrorist attack, as seven bombs went off within 11 minutes of one another on trains. The total deaths reached 209 with roughly 700 others injured. The blame for the bombings was placed on the Lashkar-e-Toiba (LeT) and local Students Islamic Movement of India (SIMI), which are closely interlinked with each other and have direct links with the ISI. A few months later, following an investigation, Mumbai police "blamed Pakistan's intelligence agency ISI for masterminding the explosions which were executed by activists of the banned Lashkar-e-Toiba and SIMI." The Mumbai Police Commissioner said that, "the attacks were planned by ISI in Pakistan and carried out by Pakistan-based militant group LeT with the help of banned Students Islamic Movement of India (SIMI)." India even shared evidence of Pakistani ISI involvement in the attacks with the United States. The bombings led to a postponement of India-Pakistan peace talks, which were set to take place the following week. The Indian Prime Minister had said that, "a peace process with Pakistan was threatened if Islamabad did not curb 'terrorist' violence directed at India." Again, perhaps a peace in the region is not in the interests of the Anglo-Americans. On July 7, 2008, the Indian Embassy in Kabul, Afghanistan was bombed, killing 58 people and wounding 141. Two days after, it was reported that, "The Afghanistan government and Indian Intelligence Agencies have confirmed that some elements within the ISI in collaboration with the Taliban/Al Qaeda planned and executed the attack on the Indian embassy." Further, "the ISI Station Head in Kabul, is collaborating with the Taliban to destabilise India's strategic presence in Afghanistan." The day after the attack, the Afghan Interior Ministry said that, "[it] was carried out in co-ordination and consultation with an active intelligence service in the region," and as the Financial Times reported, "Western diplomats in Islamabad warned that the Kabul bombing was likely to increase the distrust between Pakistan and Afghanistan and undermine Pakistan's relations with India, despite recent signs that a peace process between Islamabad and New Delhi was making some headway." It was also reported that the Afghan Interior Ministry stated that, "Militants who carried out this week's suicide bomb attack on the Indian embassy in the Afghan capital received their training at camps in Pakistan." Just weeks earlier, on June 25, 2008, "An Afghan official accused Pakistan's premier spy agency on Wednesday of organizing a recent assassination attempt on Afghan President Hamid Karzai," and that they were "sure and confident" of an ISI connection. On July 13, "Pakistan’s Inter-Services Intelligence agency (ISI) [had] been blamed by India for the bomb attack on Kabul’s Indian embassy." On July 10, "The United States has said there was no evidence suggesting involvement of foreign agents in the suicide bombing on the Indian Embassy in Afghanistan." However, on August 1, the New York Times reported that, "American intelligence agencies have concluded that members of Pakistan’s powerful spy service helped plan the deadly July 7 bombing of India’s embassy in Kabul," and that, "The conclusion was based on intercepted communications between Pakistani intelligence officers and militants who carried out the attack." Interestingly, "American officials said that the communications were intercepted before the July 7 bombing, and that the C.I.A. emissary, Stephen R. Kappes, the agency’s deputy director, had been ordered to Islamabad, Pakistan’s capital, even before the attack." Further, "a top Central Intelligence Agency official traveled to Pakistan this month to confront senior Pakistani officials with information about support provided by members of the ISI to militant groups." However, given that this is not new information, and that CIA collaboration with these efforts has been widely documented, what was the real purpose of this top CIA emissary going to Islamabad? Two days after the New York Times report surfaced, it was reported that, "The United States has accused Pakistan’s main spy agency of deliberately undermining Nato efforts in Afghanistan by helping the Taliban and Al-Qaeda militants they are supposed to be fighting." In January, the Bush administration "sent two senior intelligence officials to Pakistan" over "concerns" that the ISI was supporting militants, and further, "Mike Mc-Connell, the director of national intelligence, and [CIA director] Hayden asked Musharraf to allow the CIA greater freedom to operate in the tribal areas." President Bush also "warned of retaliation if it continues." In 2006, it was reported that as Hamid Karzai, President of Afghanistan, was trying to balance a relationship with Pakistan and India, "Islamabad might be feeling squeezed and do its best to undermine the renewed Afghan-Indian partnership -- at great cost to Afghanistan." As Time Magazine reported on the day of the Embassy bombing, "The bombing is likely to have regional ramifications, both for India's relations with the neighborhood and those of every other country supporting Afghan President Hamid Karzai." Further, "India and Pakistan have been vying for influence in Kabul for decades, and India — which for years backed the opposition Northern Alliance against the Pakistan-backed Taliban regime — came out on top after the U.S.-led invasion scattered the Taliban and installed President Karzai in power." India has also pledged $850 million in reconstruction aid for Afghanistan. As the UK Times explained, India is "the only regional power committed to a new democratic Afghanistan. It was no accident that India shouldered part of the cost of the parliamentary and presidential elections. Nor should one ignore the symbolic value of the fact that India is building the new Palace of Democracy to house the Afghan parliament." Further, "The only power likely to offer Afghanistan long-term support is India. Helping Afghanistan would weaken radical Islamism and prevent Pakistan acquiring a hinterland through Afghanistan in Muslim Central Asia." Historically, the Taliban were financed and armed by the Pakistani ISI, while India had backed the Northern Alliance during the 1990s. After the 2001 invasion and occupation of Afghanistan, the Northern Alliance was put back into power as the Taliban were deposed. This would explain why the ISI and Pakistan has again become the main supporter of the Taliban. However, in most discussion on Pakistan funding the revival of the Taliban, what is left ignored is the ISI’s continued connections to British and American intelligence. 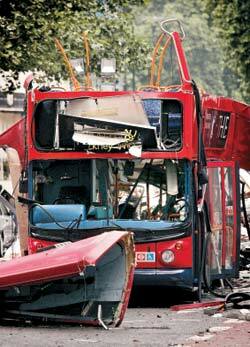 For example, with the London 7/7 bombings, the mastermind was an MI6 asset and he had, along with several of the suspected bombers, connections to the Pakistani ISI. Interestingly, keeping in mind the ISI’s help in the resurgence of the Taliban, in February of 2008, it was reported that, "Britain planned to build a Taliban training camp for 2,000 fighters in southern Afghanistan, as part of a top-secret deal to make them swap sides." Further, "Afghan government officials insist it was bankrolled by the British. UK diplomats, the UN, Western officials and senior Afghan officials have all confirmed the outline of the plan, which they agree is entirely British-led, but all refused to talk about it on the record." Ultimately, the benefactors of the Indian Embassy bombing in Kabul and other bombings, such as the recent New Delhi bombing in India, is not Pakistan, but is the Anglo-Americans. Pakistan ultimately will collapse as a result of these actions being taken. The ISI has long been referred to as Pakistan’s "secret government" or "shadow state." It’s long-standing ties and reliance upon American and British intelligence have not let up, therefore actions taken by the ISI should be viewed in the context of being a Central Asian outpost of Anglo-American covert intelligence operations. This connection between American and British intelligence and the ISI is also corroborated by their continued cooperation in the covert opium trade in Afghanistan, whose profits are funneled into the banks of Wall Street and the City of London. The goal in Pakistan is not to maintain stability, just as this is not the goal throughout the region of the Middle East and Central Asia. Recent events in Pakistan, such as the assassination of Benazir Bhutto, which has been linked to the ISI, should be viewed in the context as an active Anglo-American strategy of breaking up Pakistan, which will spread chaos through the region. Pakistan’s position as a strategic focal point cannot be underestimated. It borders India, Afghanistan, China and Iran. 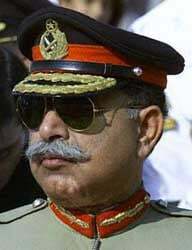 Destabilizing and ultimately breaking Pakistan up into several countries or regions will naturally spread chaos and destabilization into neighboring countries. This is also true of Iraq on the other side of Iran, as the Anglo-American have undertaken, primarily through Iraq, a strategy of balkanizing the entire Middle East in a new imperial project. One of the main targets in this project is Iran, for which the US and Britain have engaged in massive acts of terror and orchestrating large battles and conflicts from within the already-failed state of Iraq. The Anglo-American role as terrorist supporters and as covertly orchestrating terror attacks within Iraq is amply documented. To imagine that these same Anglo-American intelligence and covert networks are not using their long-time conduit, the ISI, for the same purposes in Central Asia, is a stretch of the imagination and logic. It is not merely the Middle East that is the target, but Central Asia, specifically for its geographical relationship to the rising giants such as India and China. This also follows in line with Anglo-American strategies in destabilizing the Central European region, specifically the former Yugoslavia, and more recently, Georgia, largely in an effort to target Russia. What we are seeing with Pakistan and India is an effort to drive the region into chaos. The US allowing blame to be placed on the Pakistani ISI for the Embassy bombings in Kabul has provided an excuse and basis for US military intervention in Pakistan, which has already begun, and which threatens to plunge the region into total war and crisis. But then again, that’s the idea. History Commons, Profile: Harkat ul-Mujahedeen (HUM). Andrew G. Marshall is a Research Associate of the Centre for Research on Globalization (CRG).